Juan Latino, or Juan de Sesa as he was actually named, was an Afro-Hispanic poet in Renaissance Spain who taught at the Cathedral school in Granada and became famous for his epic Latin poems. A native of Berbería, a Spanish term associated with the Northern Coast of Africa, Latino was brought to Spain at the age of twelve. He and his mother were slaves in the house of Doña Elvira, the daughter of Fernándo de Córdoba, the famous Spanish war hero. In 1530, the family moved to Granada, taking young Juan Latino with them. There, Doña Elvira’s son, Gonzalo, the future Duke of Sesa and the slave boy became friends and Latino was often seen accompanying his young master to his grammar classes. With Gonzalo’s permission, Latino dedicated himself to the study of letters at the Cathedral school. 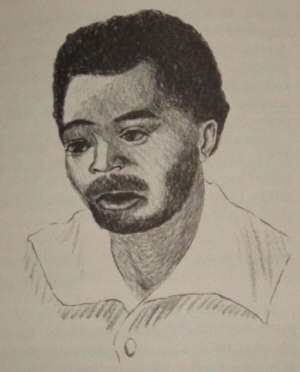 Under his teacher Pedro de Mota, the black slave became outstanding among his classmates, excelling in Greek and Latin and soon writing his own poems in Latin. From the Cathedral school he moved to the newly founded University of Granada, receiving his bachelor’s degree in 1546. It was there that he adopted his new name Latino, which associated him with the humanist ideals he was trying to rehabilitate in Spain. His sophistication in Latin and his skills as a poet and musician soon gave him access to the best houses in Granada where he found his wife Ana Carlobal. Nominally, he was still a slave, but with his master Gonzalo campaigning in Italy, Latino enjoyed the virtual, if not actual status of a free man. When his old teacher Pedro de Mota died in 1556, Latino, with the help of his protector Archbishop Pedro Guerrero, took up his job as a lecturer in the Cathedral school. Between 1573 and 1585, Latino published three volumes of Latin poems in which he reflected on the condition of blacks and negated the validity of any religious justification for slavery of Africans. His most famous poem is probably the “Austrias Carmen,” dedicated to Juan de Austria the hero of the sea battle of Lepanto. Latino died on an unknown date after 1594. Despite his accomplishments, there is no evidence he was ever freed. Interestingly, the black humanist himself became the object of literature in Diego Jiménez de Enciso’s play La famosa comedia the Juan Latino (1652), the first white European testimony about the life and work of a black writer. T. F. Earle/ K. J. P. Lowe, Black Africans in Renaissance Europe (Cambridge: Cambridge UP, 2005); V.B. Spratlin, Juan Latino: Slave and Humanist (New York, Spinner Press, 1938).